_ If either spouse has been subjected to physical abuse or threatened with physical harm by the other spouse, or if either spouse has done the same to any minor children, that information is very important for your attorney to know. Orders can be entered in the divorce case which are intended to prevent domestic abuse. A Victim Protective Order might be entered in litigation outside the divorce case. 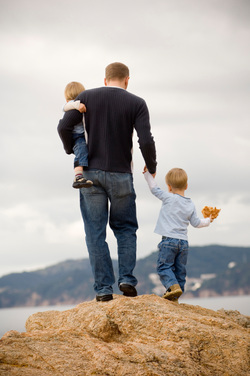 Either spousal or child abuse is a significant factor in determining child custody and child visitation. You need to inform your attorney immediately if such abuse or threats of abuse have occurred, or allegations have been made against you. When was the most recent occurrence? Have Criminal charges been filed? Was a VPO requested or issued? Has the other parent threatened to leave the state with the children, or hide the children? Victim Protective Order forms are available from the Oklahoma Supreme Court Network website. Please Click Here to link to the forms.